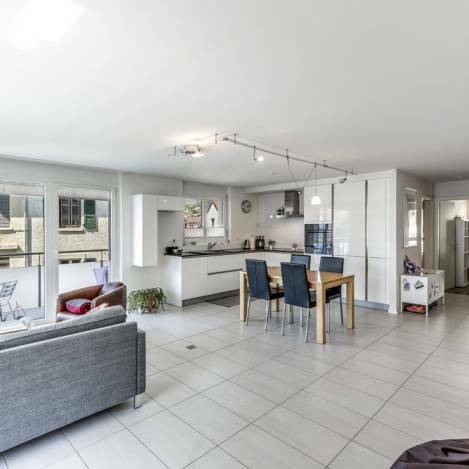 Beautiful new apartment of 3.5 rooms on the 2nd floor of 87 m2 also enjoying a loggia of 9 m2. Nice release on the Dents-du-Midi. 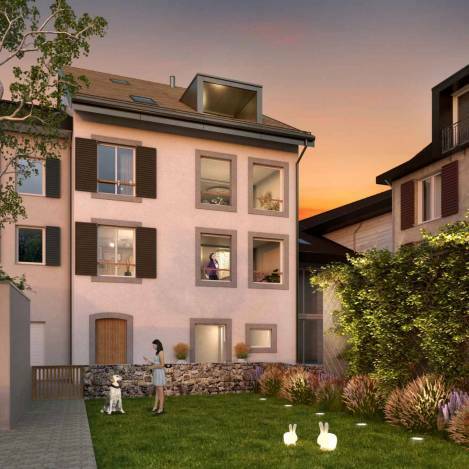 The residence "Cour du Bourg" is a new promotion of excellent quality for sale on plans and consists of 6 apartments of 3.5 and 5.5 rooms, ranging from 92 to 117 m2 of sales area. 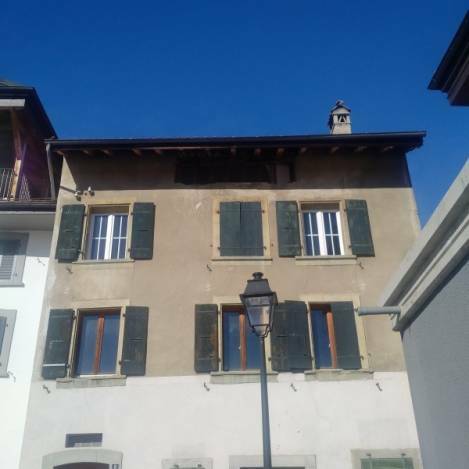 It is located on a plot in the heart of the village of Blonay and enjoys a charming village atmosphere. Focusing on space and brightness, these finely-finished homes will appeal to their distribution and the budgets of comfortable finishes allocated for each of them. Indeed, an optimization of the maintenance costs and the loads by a pragmatic and innovative conception of the habitat (architecture, choice of heating, materials, efficient insulation, etc ...) will make of this project a realization reflecting the ecological conscience shared by its inhabitants. The access to the apartments will be done by an elevator or by the stairwell of the common parts. This condominium of only 6 lots will be distributed over 5 levels and will ensure its future occupants a very private and discreet side. The remote heating, which is distributed by the ground, is completed by photovoltaic panels on the roof which will heat the sanitary water, which will allow to benefit from very reasonable co-ownership charges. 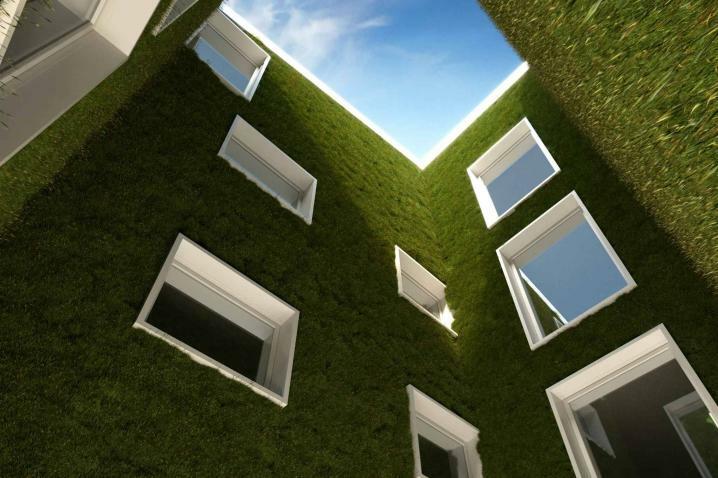 To ensure a maximum of brightness while combining the "green" aspect of the project, a green light will be realized in the center of the building. 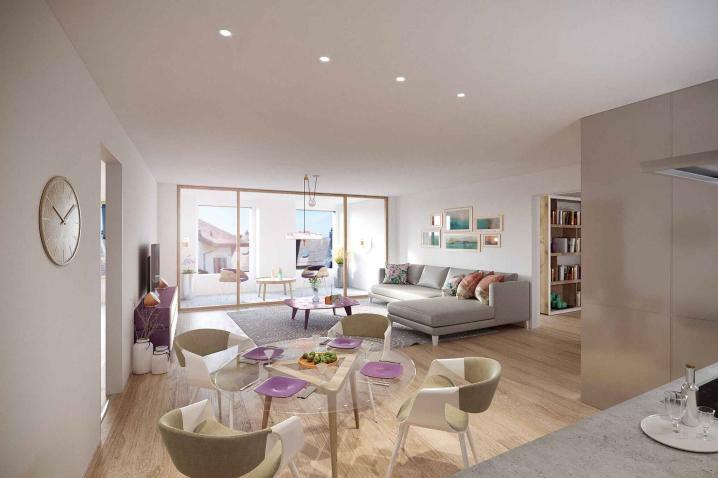 The sale on plans of the apartments allows future owners to customize the lots according to their tastes and their needs according to the possibilities and the technical description, available on request. Each co-owner will have access to the common garden on the opposite plot where "party-grills" will allow you to spend good moments with family or friends. In addition, landscaping of vegetable gardens will be made available. 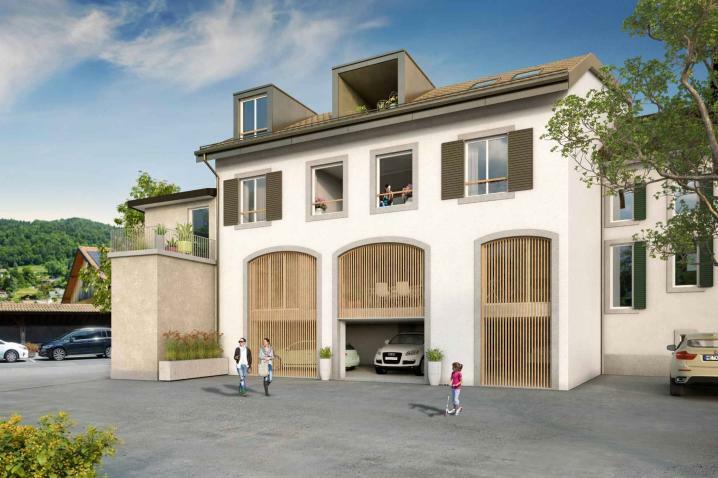 Possibility of acquiring an indoor parking space at CHF 30'000 .-- or an outside parking space at CHF 10'000 .-- or CHF 15'000 .--, in addition to the sale price. 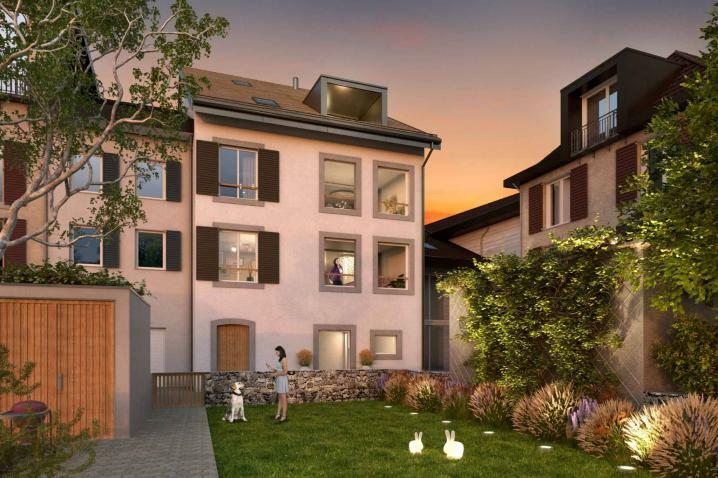 Located in the town of Blonay, this new building is in the immediate vicinity of schools, shops, restaurants. The city of Vevey is less than 10 minutes by car or 15 minutes by train. This village is the ideal starting point for your evenings at the Montreux Jazz Festival, Casino Barrière Montreux and the Christmas Market. 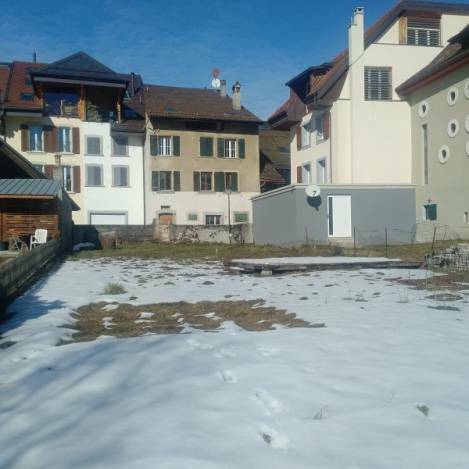 As for your next outings to the snow, the family resort of Pléïades is accessible by train in 15 minutes.